About the annoying problem in cycling and all other sports ... and about how media only talk about doping related to cyclism! Yesterday morning, Jérémy Roy published on his own official website an open letter in the wake of the recent events related to doping affairs in cycling and more specifically the results of the USADA case against Lance Armstrong who was stripped of his 7 Tour de France titles (among others). This letter is available in French in this article of his website, but in order to make it accessible to a wider public, I decided to translate the letter, in collaboration with Jérémy. While A.S.O. and the UCI are working together in piece since August 2008 (see my article "Did the Tour de France and the UCI manage to find out how to continue together?) - and after the collaboration between the Agence Française de Lutte contre le Dopage (AFLD) with the UCI for the doping checks in the Tour de France - a new war has been declared between the UCI and the AFLD. It all started with a report the AFLD published early October. Will Milram survive the storm in German cycling?! - UPDATE: the team continues! update 7 December: the team will continue! After the German TV channel ARD's decision to no longer broadcast the Tour de France and the cancellation of the Tour of Germany in 2009, it's now up to the German team Milram to be threatened to disappear because of a decision of its sponsor to maybe stop sponsoring the team! The team is sponsored by the German company Nordmilch which uses this sponsoring to promote its European brand for milk products, Milram. German cycling ... where will it go from here? After the 7 positive doping tests in the Tour de France 2008, a number of decisions have been taken which can have big impacts on German cycling. These decisions are the cancellation of two cycling events which should have taken place in Germany in 2009 (like each year) and stopping broadcasting the Tour de France on the German public TV channel ARD. Riis Cycling, looking for a new sponsor to take up the place left by CSC at the end of this year, has found a new partner in Saxo Bank, an online investment bank. In the mean time, Saxo Bank has immediately become the Danish team's co-sponsor. Therefore, in the Tour de France the team's riders will already defend the colours of the two brands with Team CSC/Saxo Bank as their team name. This co-sponsoring contract ends at the end of this year when CSC will stop its sponsoring and Saxo Bank become's the team's main sponsor; the team will than become Team Saxo Bank. The contract will run for 3 years, so the team now has a new sponsor until the end of 2011. 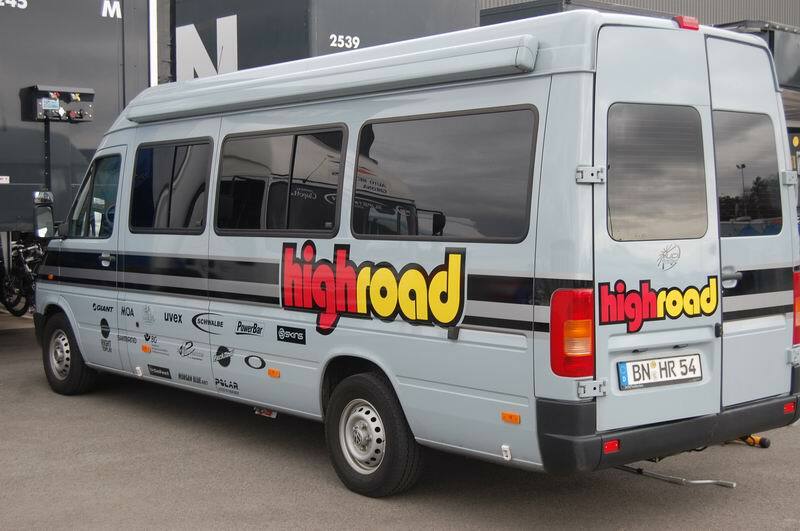 The Vuelta 2008, the Tour of Spain, will take place from 30 August until 21 September ... without Team High Road! The organisor of the Tour of Spain, Unipublic would normally only announce the team selection for this 63rd edition early May, but apparently it's already known that Team High Road will not be part of it. Paris-Nice 2008, the cycling race to be held between 9 and 16 March 2008, today announced a list of 20 cycling teams who will participate: 17 of the 18 UCI ProTour teams and 3 Pro Continental teams who recently got a wildcard for the ProTour races. The missing team is Astana which will also be missing in the ... Tour de France! In a press release A.S.O., organisor of races like Paris-Nice, the Tour de France, Paris-Roubaix, la Flèche Wallonne, Paris-Tours, etc., announced that Astana will not be invited to any of its races in 2008.